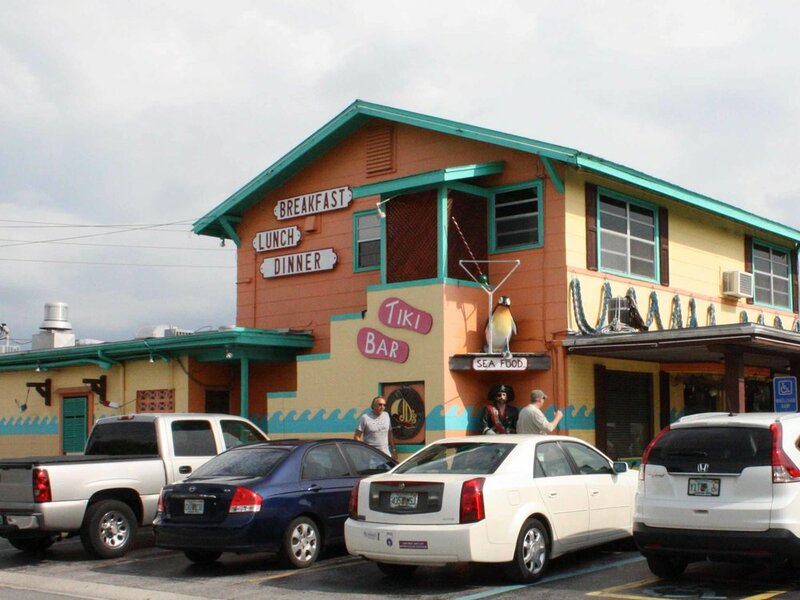 JD's Restaurant and Lounge is a Florida beach bar located in Indian Rocks Beach. Discover this great Florida beach bar. JD’s Restaurant and Lounge, in Indian Rocks Beach, has been family owned and operated since 1985. The décor is fun with amusing signs with the food specials hanging all over the restaurant and creative décor pieces outside. The bar out back has a very lively atmosphere. Many locals come to this bar to listen and dance to the live music they have daily. They have food and drink specials including Margarita and Taco Tuesdays and Early Bird Dinner menu. Although they are not on the water you can see the inlet from across the street which makes for a really nice view.